We’re located at 107 Southlands Road, opposite the Whitehall Recreation Ground. Bromley South train station and Bickley train station are around 5 minutes away. A supermarket and a number of coffee shops and restaurants can be found 5 minutes up the road, should you wish to grab a bite to eat or undertake the weekly shopping, rather than waiting. 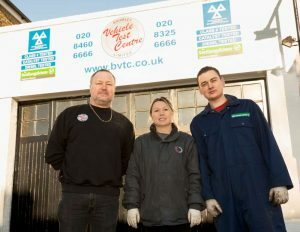 Copyright © Bromley Vehicle Test Centre, All rights reserved. Telephone calls may be recorded for training and quality control purposes.